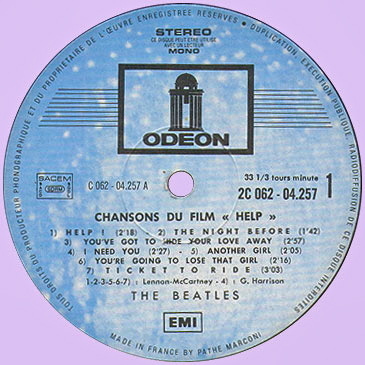 This post continues on from the one previous detailing some Beatles items found on a recent visit to Paris. 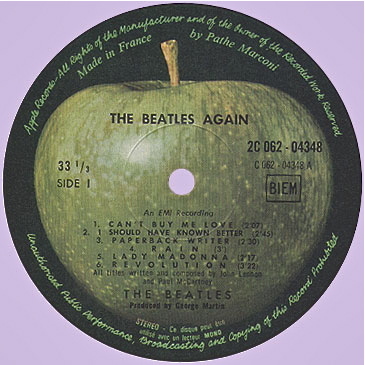 As well as bookstores, I was also on the lookout for new or second-hand Beatles records and CDs. With only limited time (and limited knowledge of the geography of the city) I could only scout around nearby where I was staying and so I really only got to visit four record shops in all. 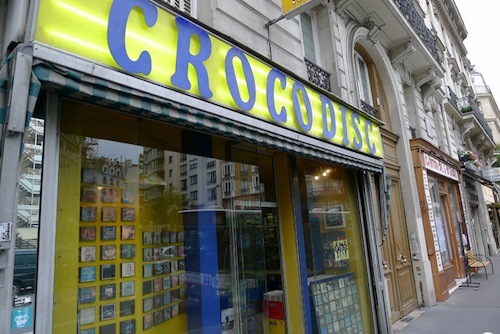 The best of them was definitely Crocodisc, which is at 40 rue des Ecoles, Paris which is smack bang in the middle of the Sorbonne university district and just down from the Pantheon. (Here‘s a link to their English translation site). As you can see it is crammed full, floor-to-ceiling, with LP’s, 45’s, CD’s and DVDs. Not only that, as well as the main store there is another whole shop-full of records right next door specialising in jazz and metal, etc. Pretty incredible. They had a fairly large Beatles section – some new, mostly second-hand. I was looking out for actual French pressings to add to the collection and to serve as a happy reminder of my time in Paris – which is definitely one of the world’s great cities. I also couldn’t buy a massive amount – partly because I’d have to say that Beatles items in the store were commanding top prices, but also anything I purchased had to be carried safely back to far-away Australia as part of my luggage. After much deliberation (and checking out the quality of the covers and discs inside) I settled on three choices. 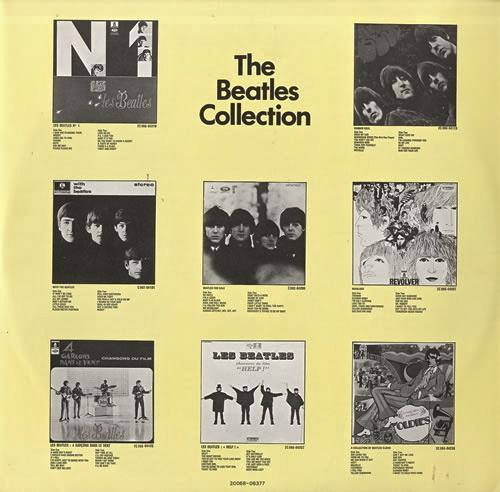 None of these is especially rare or unusual, but each is distinctly different and come from different phases of the Beatles career. 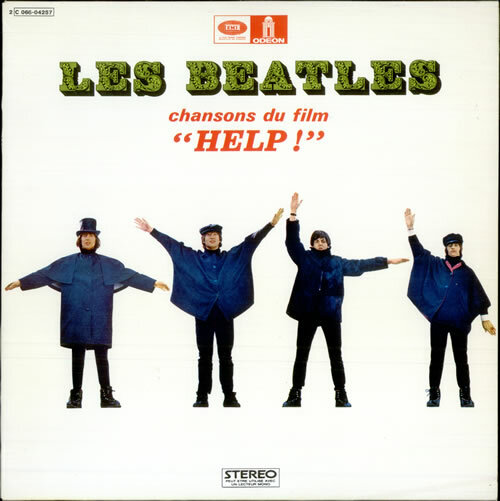 I have multiple copies of “Help!” (see here, and here for more) but not a French pressing with this unique cover and released on the Odeon label. 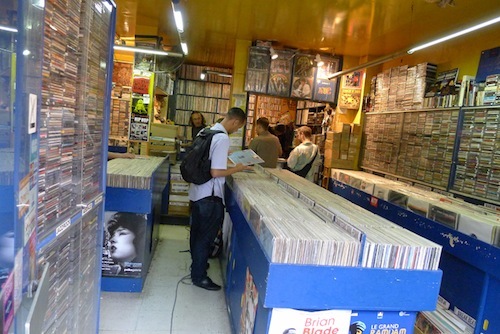 Click here for a comprehensive list of record stores – not only in Paris but right across France (it’s big). 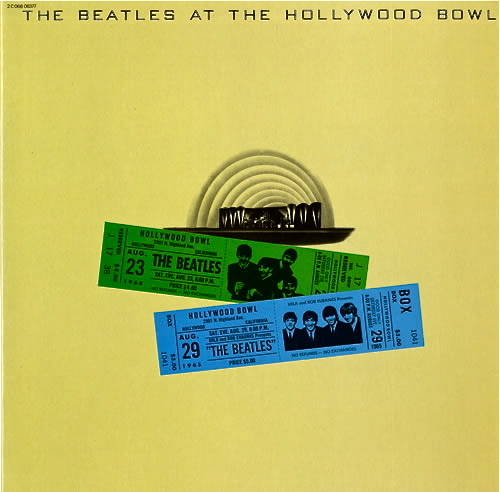 This entry was posted in Apple Records, Beatles, Beatles Collecting, Beatles Music, EMI Records and tagged Apple Records, At Hollywood Bowl, Beatles, Beatles Again, Beatles Collecting, French LPs, Help!, Hey Jude, Music by beatlesblogger. Bookmark the permalink. 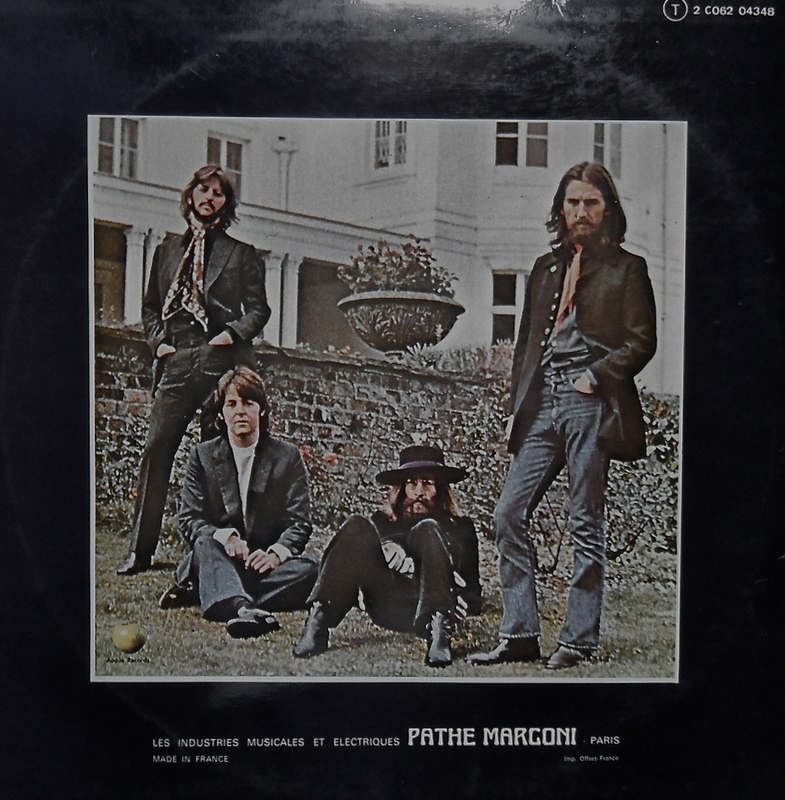 What all this brings up for me is the frenzied anticipation before EVERY Beatles’ release in the 60s. 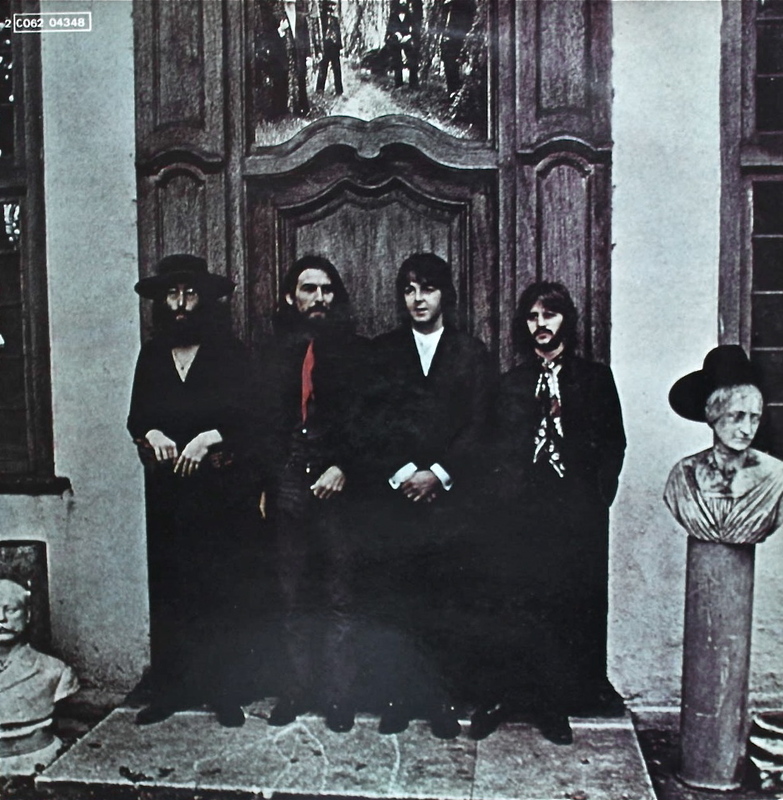 It was such an incredibly big deal when Help!, Rubber Soul, Revolver, Sgt Pepper’s, and the White Album (to name a few) were finally in the stores. Geezer that I am, I love a lot of modern bands, but it’s just not historic when they release an album.